Menlo Park is expected to finally decide this year — possibly as soon as this month — where and how it wants to separate city streets from Caltrain tracks. It will then begin a long process to apply for future state and county funding. The Menlo Park City Council has narrowed its options down to two studied alternatives and is dissatisfied with both mainly because lowering streets has big negative construction impacts. Unfortunately, the alternative preferred by most council members raises tracks and lowers streets, a design that would cause great and irreversible harm to the commercial district near the train station and subject all residents and local businesses to severe traffic disruptions and negative environmental impacts during four to five years of heavy construction. Since last October a small team of residents has been encouraging the council to conduct a short study of a third alternative that offers significantly more benefits and causes no significant negative impacts anywhere along the rail corridor. However, our proposal lacks the support of a council majority due to two unjustified fears. First, some members believe a further delay in making a final selection might jeopardize future project funding. And, all are sensitive to the public pressure being exerted by residents who adamantly oppose a new study. They incorrectly believe this third alternative would severely damage the quality of life in Felton Gables. It is extremely important that residents and local businesses understand what is happening, express their concerns and preferences to the council, and insist that the council base its grade separation decisions, not on fear, but instead on critical information and sound reasoning. A new study will not take long to complete, and if the solution costs less, the odds of our city receiving early funding might increase. The proposed alternative would use fully elevated grade separations at Ravenswood, Oak Grove and Glenwood avenues — a strong preference of both residents and the council — and would not require that any streets be lowered. 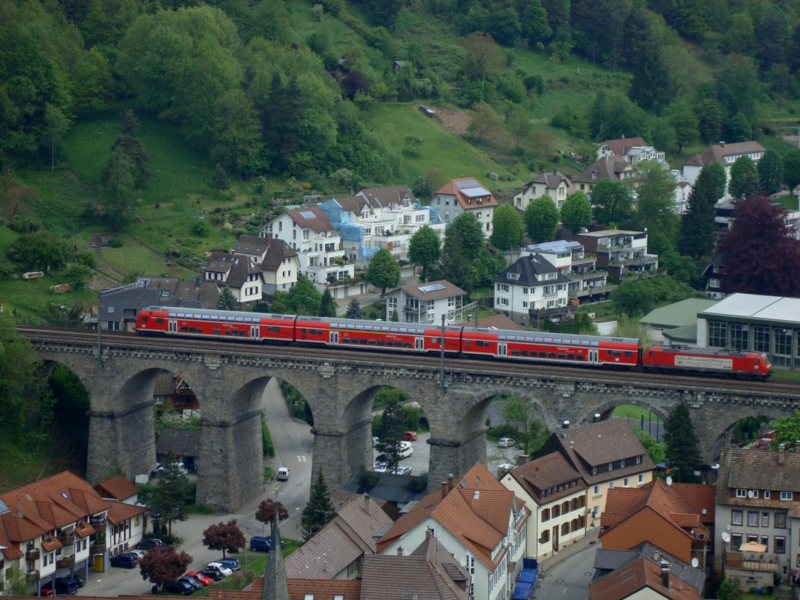 An elevated and open rail structure in the train station area would create usable space underneath, unobstructed views, and convenient paths for pedestrians and bicyclists. (Note: The currently preferred alternative divides the train station area with a solid 10-foot-high rail embankment.) Encinal could be closed to vehicle traffic only, a change that would significantly improve the safety of Encinal School students who walk and bike. And finally, fully elevated grade separations would significantly shorten construction, greatly reduce street closures and constrictions, and minimize various negative impacts on local businesses. No persuasive evidence supports the fear that the proposed new study would risk future funding for Menlo Park. First, San Mateo County does not have any uncommitted funds set aside for grade separations. Burlingame's Broadway project has long been "shovel-ready" and is at the front of the line for funding. And Redwood City still needs funding for a study of grade separation alternatives for Whipple and will likely remain far behind Menlo Park. And finally, Caltrain will continue to build new grade separations as funding becomes available, and Ravenswood remains a top state and Caltrain priority. At a recent Rail Subcommittee meeting, a large number of Felton Gables residents expressed strong opposition to any track elevation north of Encinal and, in particular, to the use of a train viaduct near their neighborhood. They are naturally concerned about potential negative noise and aesthetic impacts. In reality, their fears are factually unfounded. First, no viaduct has ever been proposed for this section of tracks. Next, it is highly doubtful that mechanical train noise at ground-level would significantly increase materially over current levels even if the rail bed were raised a small amount. And finally, Caltrain can install thin, 30-foot electrification poles up to 180 feet apart so these and passing trains would rarely be seen from Felton Gables yards due to tree screens. Both of these claims can easily be verified during a study. Finally, recently discovered information suggests the council's preferred grade separation alternative has a big obstacle to clear. A large Hetch Hetchy pipeline lies just below the surface of Garwood Way, Oak Grove and Glenwood, and possibly below Ravenswood, as well. Lowering these streets even a few feet would require the pipe to be relocated, an action that the California Public Utilities Commission will oppose, resist and possibly block. It's not even clear where and how the pipe could be rerouted. So any alternative that lowers streets has a big implementation and schedule risks. The council should never forgo a study simply because a vocal group opposes one, especially when they lack reliable information. Nor should it fear a potential lack of future grade separation funding. Instead, the council needs a study so it can both fairly consider the interests of all Menlo Park residents and downtown businesses and fully justify its final decision. It's time to start one now! Dana Hendrickson is a longtime Menlo Park resident and a member of a newly formed coalition of residents, local businesses, and property owners who advocate that Menlo Park carefully study fully elevated grade separations. This story contains 847 words. Honestly, Dana, what would lead you to believe you'll ever find any leadership in Menlo Park City Council? It just doesn't happen here. I encourage all residents and local business owners to attend the May 8 City Council meeting to express their preferences and concerns. A council also shouldn’t kowtow to a vocal group -yours- that purports to represent large groups of community members and presents information about options that has no common foundation of facts, such as from a single thorough study that includes evaluation of impacts on properties and businesses, noise levels (esp of freight trains), risk assessments by first responders. I am not pleased with the council’s final alternatives, favoring undergrounding, and i know that its analysis was superficial with a focus only on costs not also benefits. But many years of studies have occurred and decisions need to be made. Creating grade crossings will have a negative impact on Menlo Park regardless of the option selected. The longer the council daddles without making a decision, the worse those impacts will be if for no other reason than more people and more traffic will be affected. Decisions must be made. The half-and-half option (roads down a little, tracks up a bit) works fine in San Carlos and Belmont. Let's get it done, already! Undergrounding is hopelessly and prohibitively unaffordable (well over $1 billion, extrapolating from the recent Mott MacDonald white paper prepared for Palo Alto) (see Web Link) and opposed by the right of way owner (Caltrain) and freight operator (Union Pacific) for numerous sound technical and operational reasons. So with undergrounding off the table, we're left the option of completely digging up and lowering downtown streets (Ravenswood, Oak Grove, Alma, Merrill, Garwood) by up to 21 feet and cutting off access to numerous private properties to achieve the necessary 15-foot clearances for taller vehicles to safely pass under the tracks ... or to partially elevate the tracks to lessen or fully elevate to eliminate impacts to our street network and cross-town connectivity for pedestrians, bikes and motor vehicles. Once you start elevating the train, it turns out that fully elevating it is a great option for getting it up and out of the way of daily life. The quaint and historic depot stays where it is and the 2 existing outside station platforms are replaced by a single center platform between the fully elevated tracks. But unlike Belmont and the recently finished downtown San Bruno grade separation, instead of a solid embankment (aka berm or wall), using an aesthetically designed viaduct leaves the space underneath the tracks and station platform across the heart of our downtown as a fully-open, well-lit, landscaped and useable space. To the north of downtown, the tracks can slope back down starting at or near Glenwood and return to their current level well before reaching Atherton. The tracks would still be somewhat elevated (maybe 9 feet higher than now) across Encinal, but with minimal impact on Park Forest and Felton Gables ... which may want to either close the Encinal crossing, or leave it open to bikes and peds, or dip it down a bit more to maintain full vehicle access. Their choice. That area is pretty well screened from the right of way by fences, trees, structures and foliage ... and wheel noise from Caltrain's quiet new Swiss electric trains (already being built) can be easily blocked by a low (hip-high) sound barrier along the outer edge of the tracks. To the south, the tracks are already 7 feet higher than Ravenswood at San Francisquito Creek as they traverse the existing berm along Alma near Burgess Drive ... so that section only need slope up an additional 13 feet from the creek and could be any desired combination of viaduct or solid berm (as it is today along Alma) for added cross-town connectivity. Grade separate the 3 busiest Menlo crossings in one fell swoop. No more train horns. No more crossing bells. No more traffic backups. No more bikes, peds and cars getting hit at crossings. Reduced suicide opportunities. Road network and cross-track connectivity is not only preserved — but improved. No private properties cut-off by deep freeway-style road underpasses. No need to tear up and rebuild utilities under streets. If you're going to elevate at all across downtown, partial elevation doesn't make nearly as much sense as full elevation ... you might as well elevate all the way so that trains are fully up and out of the way with ground-level space underneath fully open and available for other uses. Facts please. Actually my group is simply arguing for a short but important study that would produce facts and sound arguments for a promising alternative that was prematurely discarded. This would counter the fears and misperceptions about fully elevated grade separations that are based primarily on misinformation and emotions. Our City has shown this study could be completed in 6 months or less in parallel with planning for its current favorite Alternative C - without any negative impact on the latter. Why would you oppose having better understanding of our alternatives? I recommend you visit Web Link to understand the relative merits and drawbacks of the two alternatives.